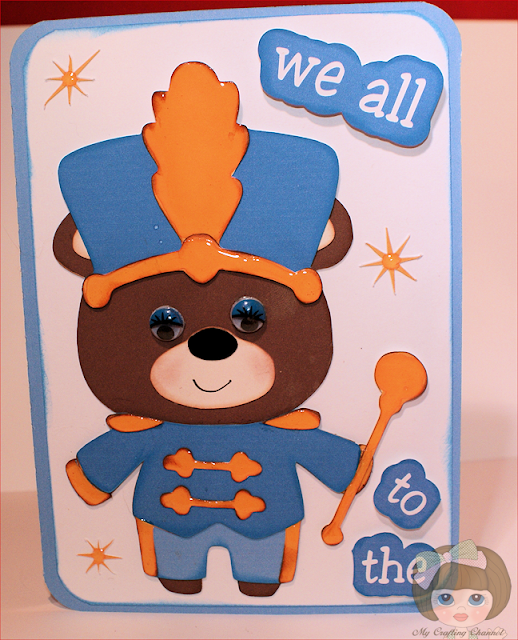 My Crafting Channel: Teddy Bear Parade #1 "Drum Major"
Teddy Bear Parade #1 "Drum Major"
I was not really sure what I wanted to do with this bear. I don't know anyone in a band or a band teacher. So I decided to make a fun card. 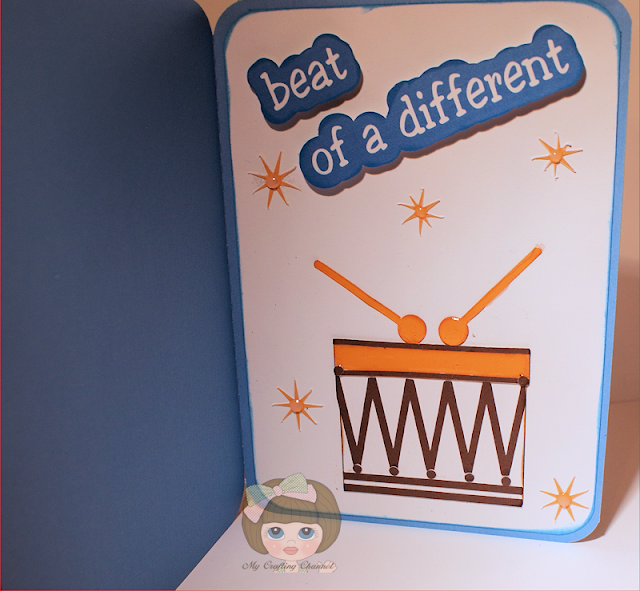 I will use this card at some point for a time when I need to let someone know it's alright to be different. Oh this sounds like a very fun challenge and I might even get the dust blown off this cartridge. Your card is so adorable. TFS! what a cute bear card and fun challenge!! Can't wait to do my bear. This is adorable Nana! Great job with this sweet bear! A-D-O-R-A-B-L-E!!! What a cutie! Having fun playing along! Drum Major is adorable !! Love the eyes and bright colors. Off to check out Pam's! Thanks for sharing all your fun with everyone! Oh so adorable Nana!! I just the love the sentiment you used. I would love to link up, but I have not even used my Cricut since getting my Cameo!! Seriously way too cute. I need to get this cut to make my son this card. He is in band. How fun! Super cute idea and I would love to play! I better get busy! Cute card and I love the sentiment! Wow!! really nice love the bright orange and the glossy accents are perect I love it. This is my favorite one of ALL!! He is a Cutie Pie!!! !Love him and I want him! !